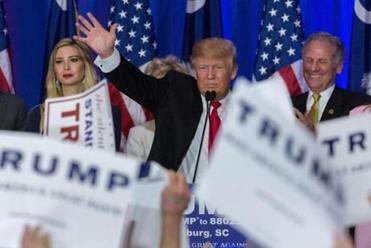 Donald Trump spoke in Spartanburg, S.C., on Saturday night. In the past week Donald Trump accused the last Republican president of lying the country into an ill-fated war in Iraq, called waterboarding “minimal torture,” spoke approvingly of executing prisoners of war, got in a verbal spat with the Pope, and said he supports Obamacare’s individual mandate, which forces Americans to buy health insurance and is anathema among Republican partisans. 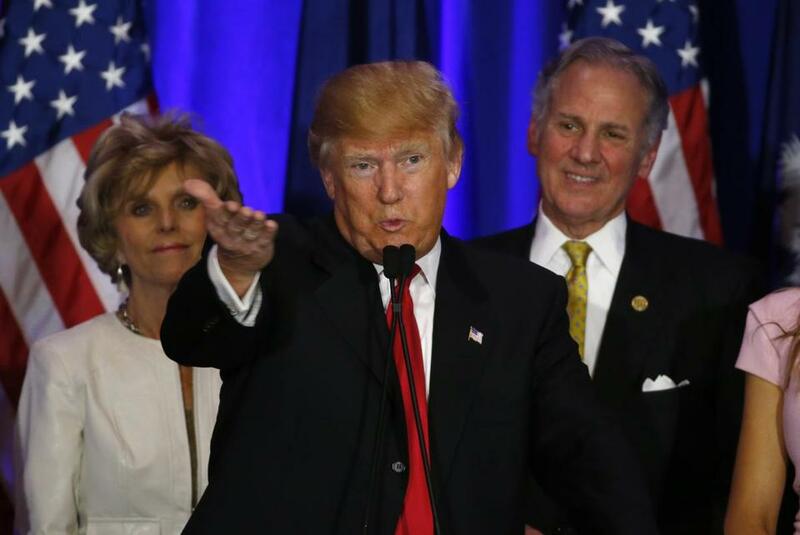 Saturday night, he won the South Carolina Republican primary by 10 points. I’ve said it once and I’ll say it again: It’s Donald Trump’s world and we’re all just living in it. It’s been clear for some time now that Trump is not just most likely to be the Republican nominee in November; he’s the overwhelming favorite. He’s now won the New Hampshire and South Carolina primaries and finished a strong second in Iowa. In the process he’s amassed an impressive coalition of support. He narrowly won evangelical voters in South Carolina, even while polls show he is the most popular Republican among secular voters. He did well among college-educated Republicans in New Hampshire and yet his strongest base of support are the least educated, poorest voters. When you talk to Trump supporters, one thing is obvious — they are little interested in his supposed betrayal of conservative principle, his political incorrectness is an asset, and while they might be concerned about his judgment, their devotion to his candidacy is surprisingly resolute. In short, he’s assembled a broad base of seemingly implacable support within the Republican Party, one that none of this rivals have shown any ability to erode. By rallying about a third of Republican primary voters to his cause, Trump is well on his way to a hostile takeover of the GOP. Of course, in politics being good only takes you so far — a little luck never hurts. And Trump has been blessed to face off this year against an utterly hapless group of rivals and a neutered and ineffectual party establishment. In a head-to-head match-up with Marco Rubio, Trump would find himself in a tough race; against Cruz it would be nip and tuck. But with both of them in the race, each winning about 20 percent of the vote — and GOP leaders unable to ease either of them out — it’s a boon to Trump’s candidacy. While poor Jeb Bush was finally being put out of his misery by South Carolina voters, Cruz and Rubio battled it out for second, with the latter nudging slightly ahead. But it doesn’t really matter. Both will trudge on — along with John Kasich, who will stake his claim in Massachusetts, Vermont, and later Michigan and Ohio — but all they’ll be doing is smoothing the path for Trump. Kasich, in particular, will stick it out and in the process takes votes away from Rubio, who needs desperately to consolidate establishment support behind him. Ted Cruz had a lousy night, but he’s got a ton of money, a base of support among evangelical voters, and the kind of political pathology that will keep him in the race to the bitter end. As Rubio said, it’s a three-man race, but that’s a great result for Trump. On the Democratic side, things are much clearer. There are still months of primaries and caucuses to go and Bernie Sanders won’t fade off into the sunset, but with Hillary Clinton eking out a narrow win in Nevada, for all intents and purposes this race is over. Assuming she maintains her advantage among African-American voters — and there is no reason to believe she won’t — she likely wins big in South Carolina next Saturday, cleans up on Super Tuesday three days later ,and gives herself enough of a delegate lead that it will be practically impossible for Sanders to catch her. Because of the proportional way in which Democrats dole out delegates in primaries and caucuses, Sanders would have to not just beat Clinton the rest of the way but he’d have to win by large margins. But that’s unlikely. The Sanders revolution was always a bit of a pipe dream, but the Nevada result was the proverbial nail in the coffin. As a result, it looks increasingly clear that next fall it will Hillary Clinton versus Donald Trump.